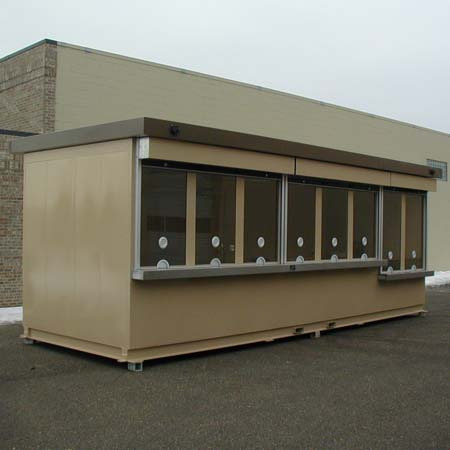 Manufactured to order for a major university on the West coast this eight window ticket booth was just the "ticket" for the athletic department to meet their fans' needs for rapid ticket sales. Nothing discourages fans more than having to wait in long lines to get a ticket thus missing the first quarter of the game! At Little Buildings we like to say "get them in their seats faster and happier!" Give us a call and see how we can help meet your ticket demands! 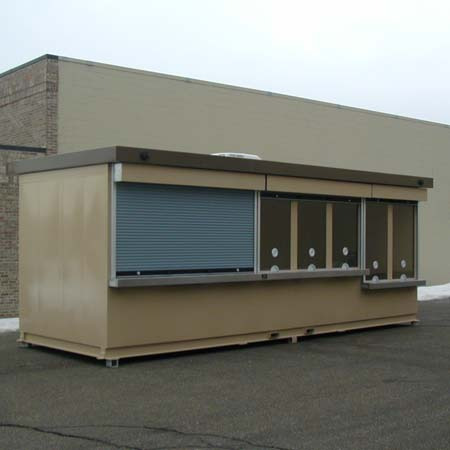 Standard features on this model include all welded steel construction with galvanized panels, eight ticket windows, interior shelf, swinging steel door with hydraulic closer and "peep" hole, galvanized treadplate floor, 3" canopy overhang, tempered glass, 6" channel base, insulated walls and ceiling, paint in one color of choice. 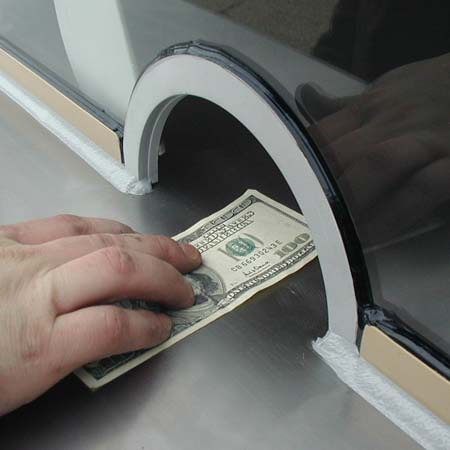 Cash windows include anodized aluminum speak tubes and hinged money slots. 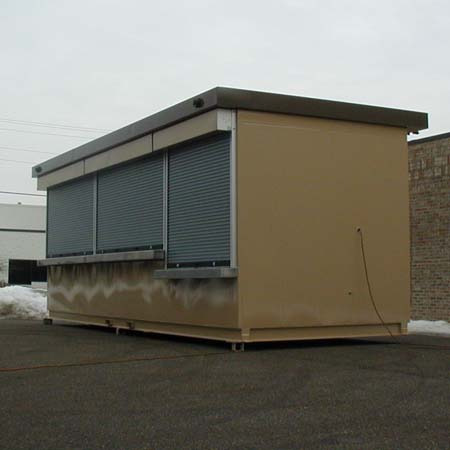 Electric features include Ground fault interrupt electrical plugs, fluorescent lights with lenses, heater, and all wiring to a wall mounted circuit breaker box with main disconnect. 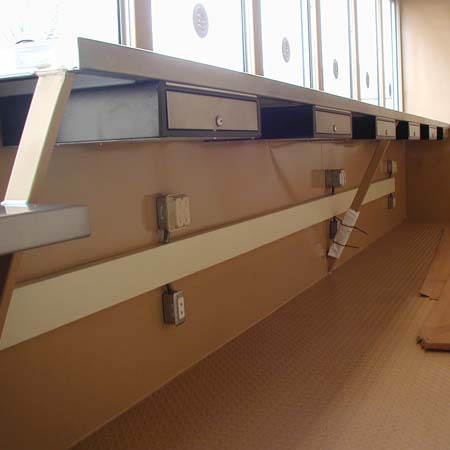 Optional equipment shown includes roll-down galvanized steel shutters, exterior lights, handicap accessible windows, two-tone polyurethane paint, forklift slots, exhaust fan,locking cash drawers, stainless steel inside counter, communication outlets, steel rib reinforced door with mortise lockset, roof mounted air conditioner, and extra shelving. 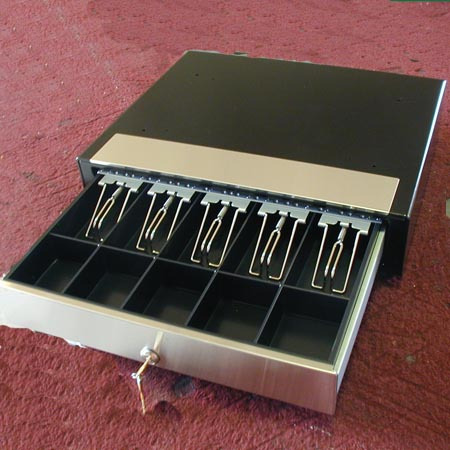 Other optional equipment available include dimming interior lights, electronic speaker tubes, roll-down sunshades, digital signage, graphics, anti-fatigue matting, and many others. 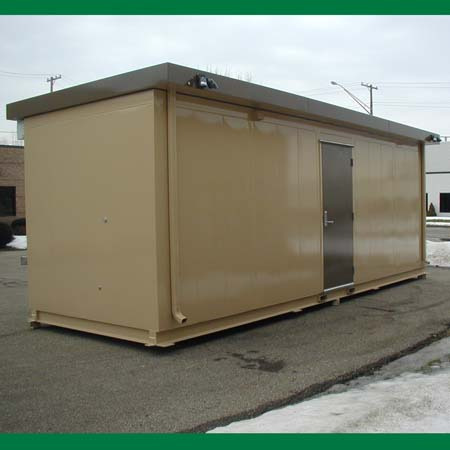 Each Little Buildings starts from scratch so we can build exactly what you need from scratch! How can we help you? Contact us at 1-888-55-BOOTH or fill out the contact form on this page. We look forward to hearing from you!